This is the consumer mantra when it comes to paying bills. It’s an attitude that won’t surprise any savvy biller who understand that customer convenience is paramount, but it’s nonetheless gratifying for eBilling solutions companies like Striata to have it confirmed with hard evidence. When Striata recently ran a pilot implementation (outlined later in this article) for a major utilities company, the results proved beyond a doubt how attractive a proposition eBilling is to the biller. The findings add further weight to the case for eBilling implementation, already strong due to the considerable savings a biller enjoys in reduced costs (it’s 50% – 70% cheaper to deliver bills electronically than by paper). 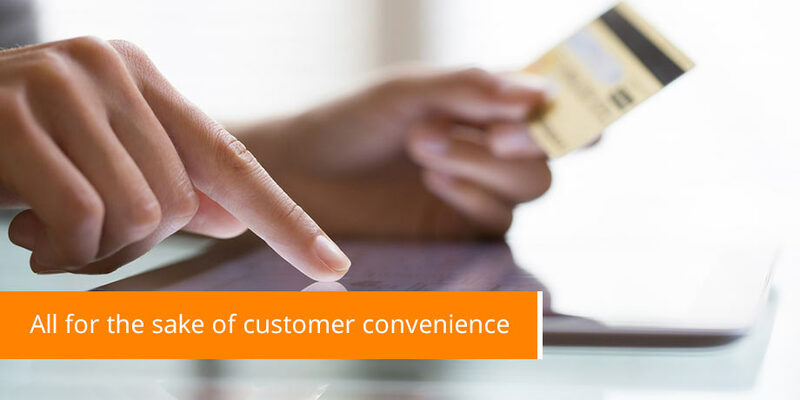 Thanks to overwhelming evidence, billers can now also be confident of improved cash flow from more bills being paid on time, along with improved customer retention due to the superior convenience electronic payment can offer. It’s worth considering some current predictions about the future of electronic bill presentment and payment versus paying by traditional methods such as the cheque. Research conducted in the USA at the end of 2004, leads Celent Communications to predict that the percentage of payments made by cheque will fall from 53% to 29% by 2007, while electronic payment will rise from 13% to 29% – more than doubling in 2 years. In “Billing and Incoming Payment Processes in the 21st Century – a white paper “, Killen & Associates confirm that the broader choice consumers now have over how they receive and pay their bills is profoundly influencing their payment habits. They go on to remark that the pressure felt by businesses today has increased dramatically with stricter regulations and higher demands on payment cycles and cash management. And they further surmise that conditions are ripe for companies to start implementing processes that can be better tracked and monitored and result in faster cash collection. Clearly, there’s a credible and growing body of research confirming that increasingly more consumers are switching to electronic payment and that companies would be wise to offer this convenience. Another area deserved of close attention is the widening choice of suppliers faced by customers and their rising number of options for receiving and paying bills. During this period of rapid change, it’s essential to keep the customer experience as convenient and low-effort as possible. An example of how not to do so, is illustrated by an eBilling solution that is currently in the marketplace and requires the customer to click their mouse 22 times before each bill can be paid. BPAY’s research tells us the average household receives 6 bills per month – clearly, there’s precious little incentive to switch to eBilling when 132 clicks are required instead of simply writing out 6 cheques. Fortunately for customers, that’s an extreme example of an inconvenient eBilling solution – one that a company would be ill advised to adopt. The best kind of eBilling solution is a single touch experience that minimises effort and maximizes convenience. Ideally, all a customer would need to do when viewing a bill is click once and enter their username and password. Similarly, paying the bill need only require one click. The process should be made so quick and easy that there’s no need to print out the bill, file it and remind yourself to pay it later – which defeats the entire purpose of eBilling as a more convenient solution to the paper billing process. By way of example, outlined below are the details of the highly successful eBilling pilot that Striata ran for a major utilities company. Needless to say, the utilities company was more than impressed, with the case for switching to eBilling being demonstrated with undeniable clarity. Over 50% of customers paid the bill before the paper bill could even have arrived in their letter-box. Some 19% payed on the same day they received the bill, and nearly 70 paid it on time. The cash flow implications were considerable. These figures should leave no doubt in any company’s mind of the positive impact a well-implemented eBilling solution can have on your cashflow. As the evidence mounts for eBilling as the future of bill payment, more and more companies will be seeing these results for themselves.